A bunion is one of the most common foot deformities in adults. It presents as a lateral protrusion of the big toe joint. Inflammation with reddening and swelling, pain, and numbness are often present. In more severe cases, the toe deviates medially toward the other toes, sometimes going completely sideways and moving under them. Bunions impair weight bearing and balance, increase the risk of falling, and worsen physical performance and quality of daily life. If you are sitting, stand up, walk across the room, come back and remain standing. Really, do this before you read further or you might influence the results. Now, look at your feet. Do they look like this? Feet definitely not pointing straight ahead. So what, you might ask? Why does it matter? I counter with a question. Would you want these wheels on your car? I didn’t think so. Our feet, like the wheels on a car, are meant to move forward in a straight line with the toes pointing straight ahead. When your car wheels are out of alignment, it causes improper wear on the tires and problems with steering, vibrating, and pulling of the car to one side. When your feet are misaligned, they too experience improper wear, often in the form of bunions. If your feet look like the image above, then you are building a bunion every time you take a step. This happens because of the compensatory movements your ankle has to make to keep a foot that is pointing diagonally, heading forward instead. 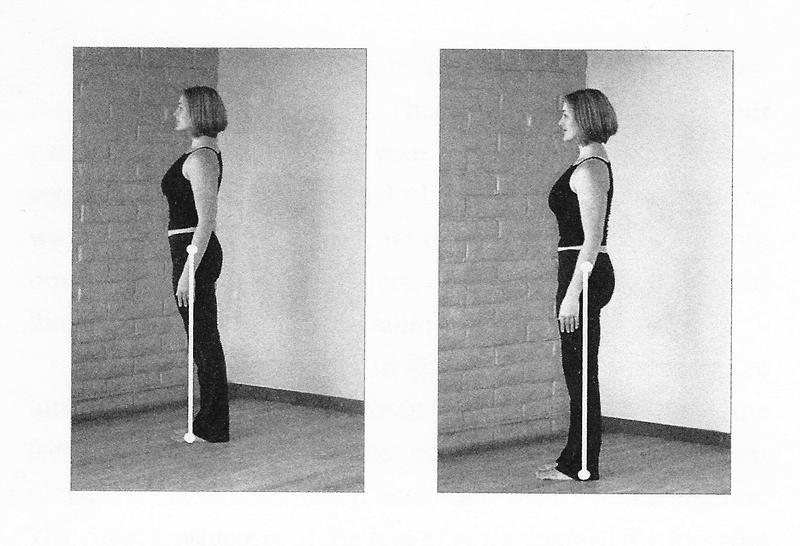 Your ankle/foot complex should be moving back to front. But your stance is causing an unnatural rocking side to side of your ankle, which is causing a rolling of the foot from outside to inside, which makes you land on and toe off from the side of your big toe rather than from the its proper and padded bottom. Repetitive landing on the bony side of your toe will signal your bone making cells (osteoblasts) to shore up and increase bone density by layering on more bone on the side of your foot. 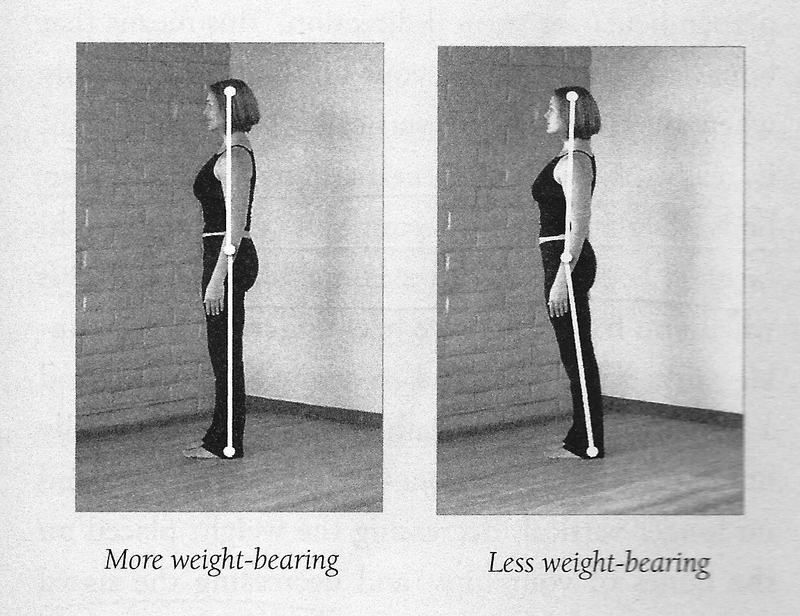 This is how you make bones more dense. 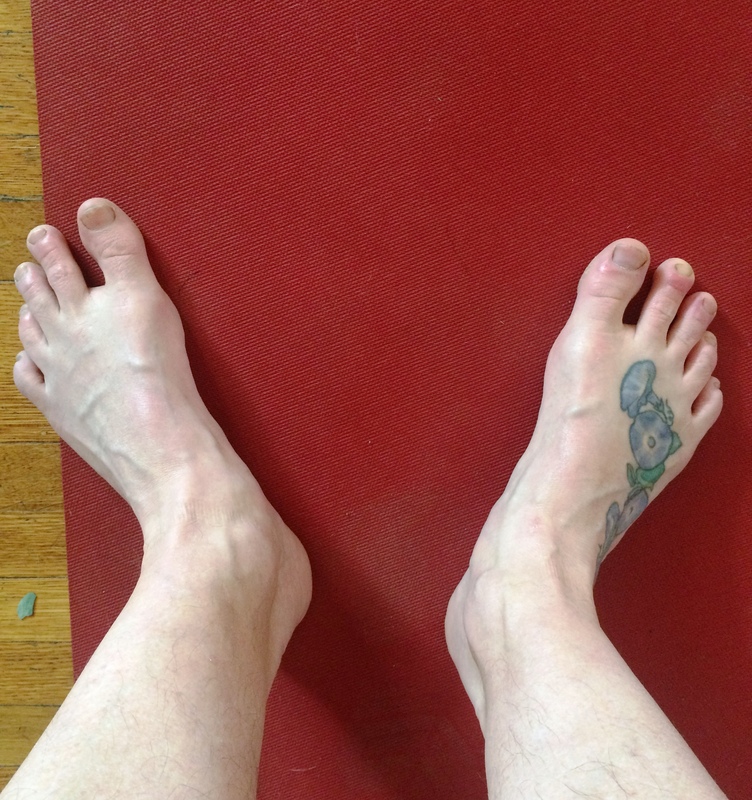 Great for hips, not so much for the side of the big toe.This is how you build a bunion. 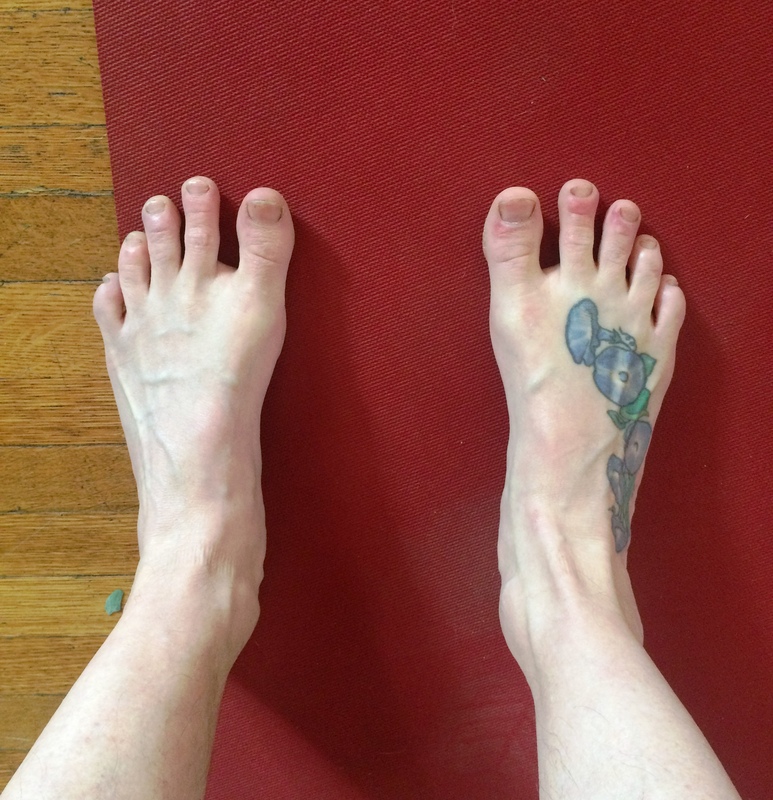 You may discover that once you align the outer edges of your feet that your toes appear to point inward. This is to be expected as your toes have been pulling medially all these years to help your car feet go straight, and have thus re-aligned themselves for this task. 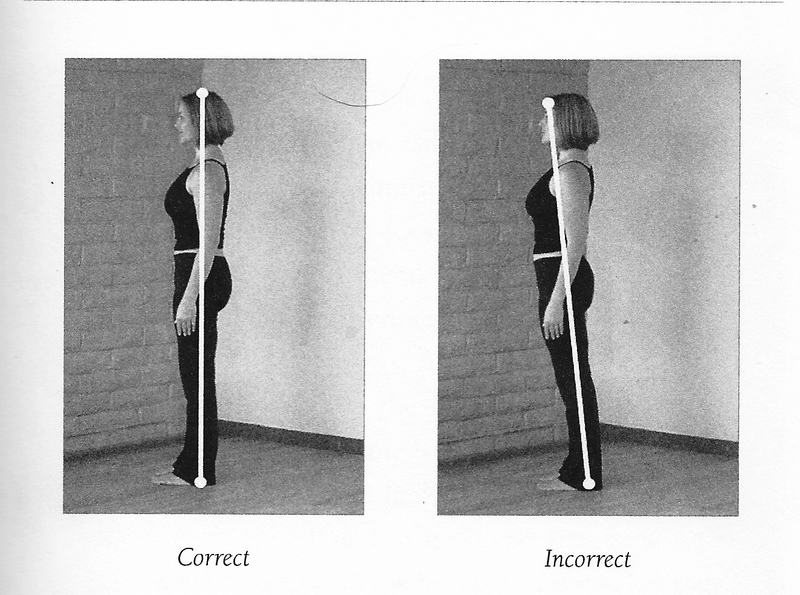 Over time, with proper alignment and improved muscle tone (exercising your toes with FootLove), this will improve.